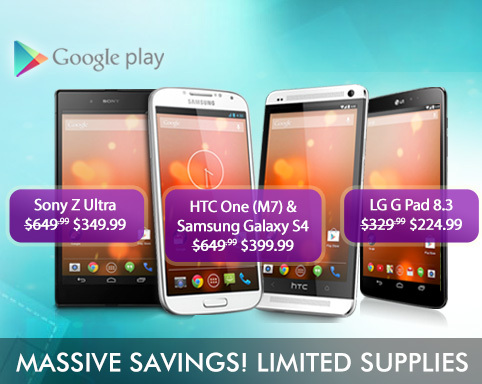 These GPE devices have all had over $100 slashed off their original prices. Some are selling at even lower rates. While the LG G Pad 8.3 has been marked down to $224.99, the One M7 and the Galaxy S4 are both reduced by $250 down to $399.99. The Z Ultra is still going at the previously mentioned $349.99. Here are links to all four devices.